Tired of eating the same food whenever you go out to eat? When you let us take the stress of making a meal off of your shoulders, you can finally sit back and unwind. You deserve to enjoy an authentic meal! Skip the drive-thru next time you’re looking for some fast food. Give us a call, and we’ll have your order ready by the time you get here. 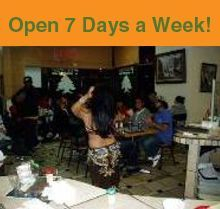 We also have a buffet during Ramadan – stop by and give it a try!